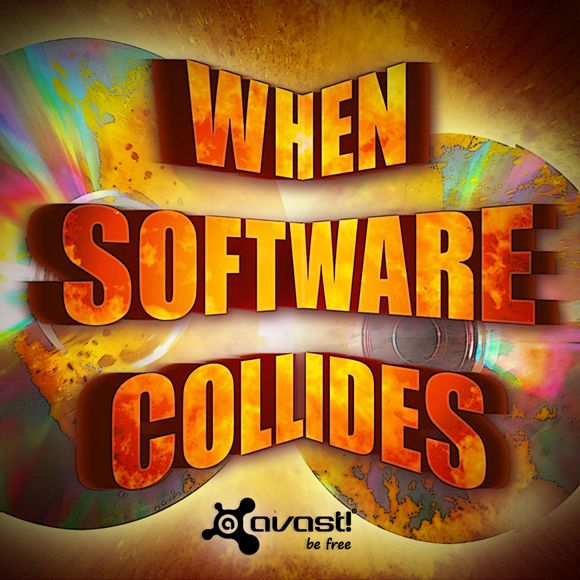 When Software Collides! What to do with your old antivirus program. Running multiple antivirus programs on the same computer can cause conflicts resulting in false positives, a slowdown in performance, or system instability. Question of the week: Can I have more than one antivirus program on my computer at a time? This is a good question to ask the week that security geeks are discussing the death of antivirus all over the media. The antivirus program of the 90s may be among the dearly departed, but modern anti-malware solutions such as avast! security products incorporate firewalls, intrusion detection, heuristics, virtualization, sandboxes, and many other layers of protection, making it an extremely sophisticated piece of software. With all that complicated software, it’s not a good idea to run two antivirus programs simultaneously. In fact, many antivirus programs will not install if another antivirus is detected on your system. Most people think that more is better. However, there are situations when it isn't true. More ice cream doesn't make you more satisfied. And more antivirus programs on the same computer will not make you more secure. You may want to know why? The explanation is easy. Antivirus itself has to access areas of your operating system that "normal" programs wouldn't have access to because accessing these areas would make the program suspicious. This is the space for collisions with other programs; mostly other antiviruses. We always advise our users to have only one active protection at the time. It's like adding more air deflectors to make your car faster - seems like a good idea, but it only slows you down. Generally speaking, it’s good to have an antivirus program that scans every file or download for malware and a firewall which controls what comes into your computer so you can keep out hackers, viruses, and worms. Running multiple antivirus programs on the same computer can cause conflicts resulting in false positives, a slowdown in performance, or system instability. Therefore it is strongly recommended to uninstall all other previously installed antivirus applications before installing avast! on your computer. Most antivirus companies produce a special uninstaller program to remove their antivirus software. You should use these removal tools because typical uninstallation from the Control Panel in Windows can leave stray files behind in some cases. These files may still remain in the system and prevent avast! Antivirus from being correctly installed. How do I uninstall my old antivirus program? We have compiled a list of vendors that provide a special removal tool to uninstall their antivirus software on the AVAST FAQ page. Follow their instructions before proceeding with the uninstallation. Thank you for using avast! Antivirus and recommending us to your friends and family. For all the latest news and product information, please follow us on Facebook, Twitter, Google+ and Instagram. Business owners – check out our avast! Business Solutions.